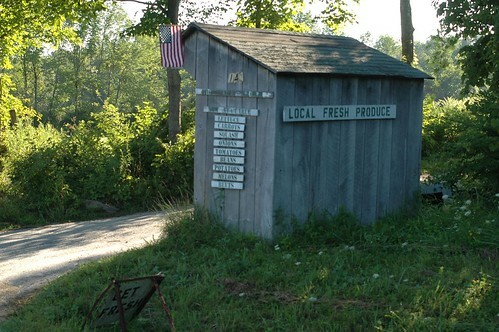 produce stand cornwall, originally uploaded by jahansell. I'm on vacation and temporarily not taking new pictures - but here's another from my series of Cornwall - a self-serve produce stand that had the most wonderful onions and carrots. Self-serve? Does that mean using the honor system to buy things? It looks rather lonely, but still interesting. Everythign always looks so serene in your neck of the woods. This site gives us the information about Vacation.Where we have to do our vacation?